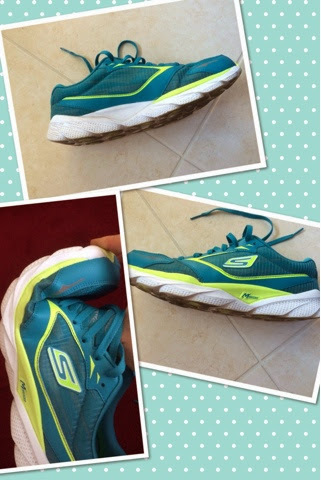 The Gorun ride has been my main running shoe for about 18months. I use the Gorun for races (up to marathon) and speedwork as well as some training runs but my default shoe is Gorun ride which I have used for all distances including for a 24 hour (132mile) race. 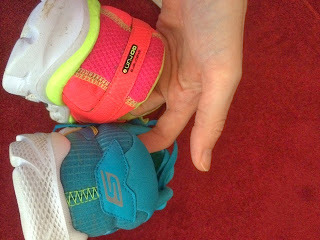 They look very similar to the GRR2 on the upper - both are a lovely soft material - I love the teal (others are available including a rather nice looking hot pink or black for those who dont like bright colours). The sole is much improved. The GRR2 would sometimes get stones trapped between the GOimpulse sensors; the GRR3 is designed such that it would be hard to get stones trapped. The Gorunride3 has a bit more support around the heel to hold the foot better in place but the difference is fairly minimal, it's not something I felt was lacking before but I know some people prefer a little more support. The GRR3 is a little narrower, there is still plenty of space in the toe box and much more than on other brands. I noticed this at the gym when I spent quite a long time on the cross trainer, the shoe was feeling a bit tight lower down the foot which I think was because my feet were spreading out more than when running. As soon as I got off and ran home I didn't notice it and since the shoes are for running not the gym then it shouldn't be a problem although I would reserve judgement until I had done a long run in them. After a few weeks of short runs I am very happy with them, if I am honest I don't really notice the differences between the GRR2&3. I love the gorun2 so am pleased they have kept everything I like about them. I especially like how soft and slipper like they feel, not just the materiel of the upper but also the cushioning which is sufficient to give protection from stones etc. whilst keeping the shoes light. Both models are very flexible and light - size 7 is 212g with the sock liner. You can take this out if you prefer a more minimal feel - that will save you 20g. Just like the original the heel drop is 4mm and there is the same technology to promote a midfoot strike. I used to be a heel striker; since wearing skechers shoes I have gradually changed to more of a midfoot without really thinking about it. I have now done 100 miles in the shoes including a 32 mile long run yesterday with the first marathon at a purposeful pace. 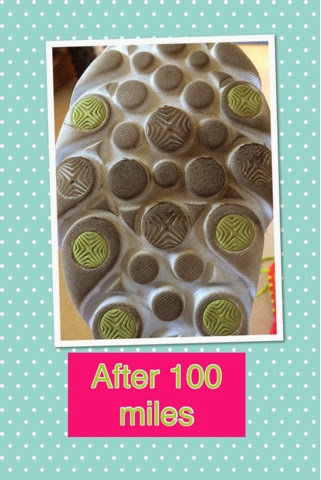 The wear after 100 miles is similar to the other Gorunride models which I have retired at 500-550 miles they do have wear left in them but I don't want to risk injury. 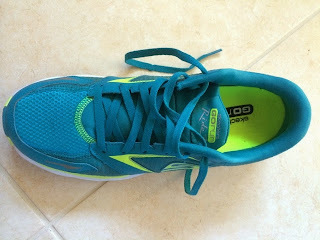 The shoes gave me plenty of cushioning and support during the 32 mile run such that I could forget I was wearing them. 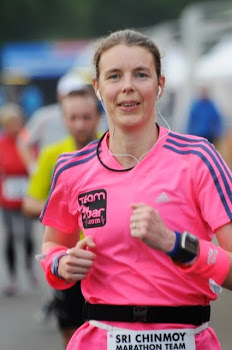 The marathon was on Tarmac around an airfield and whilst I would normally wear my gorun2 if I was running fast I was glad of the extra cushioning as there were a lot of potholes and stoney bits so they offered more protection. I didn't get any stones trapped like I would have done with the GRR2. I had absolutely no blisters or hot spots and the issue of them not feeling as wide after an extended period on the cross trainer was not a problem on my long long run. The GRR3 are made of a more breathable fabric as I didn't have the wet sweat patches on the top of the shoe which I would get on the GRR2 on a warm day or when I am running hard. An additional bonus is that my white socks were not stained from the fabric - with the GRR2 after a long run my white socks would be a bit pink from the dye of the shoe! Since I was undecided which I liked best and couldn't really tell the difference I went for a hilly run with one shoe on each foot. Since the GRR2 have about 350 miles on them it was not really a fair comparison. I would say that to me the difference was fairly minor, I felt that the GRR3 supported my foot a little more, not in an anti pronation way. It's hard to explain but it just felt a bit more Iike my foot was kept on place and prevented a little bit from spreading which is going to be better for people who are used to traditional shoes. I found the difference to be very minor though. 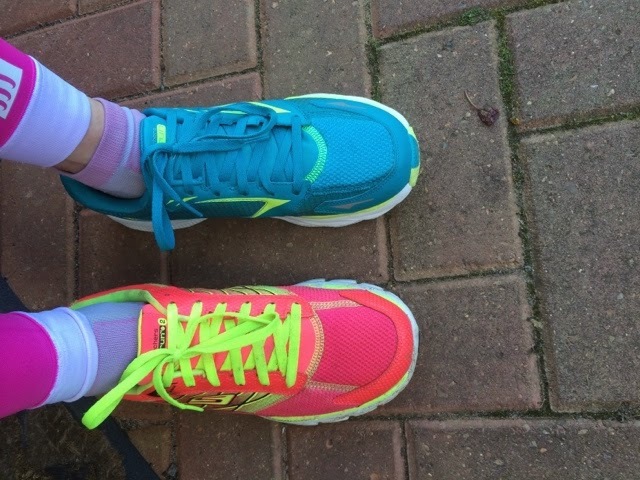 In terms of cushioning and comfort both were equal so I would say if you are undecided get the ones which have the colour you like best or which are in the sale as the differences small, although if you run on gravel and stones then the GRR3 is going to be best. Hi! My name is Pía Carolina. First time I read your blog. I got here finding reviews on the Go Run Ride 3. I have this question: In this particular model, is it necessary to buy a size up? 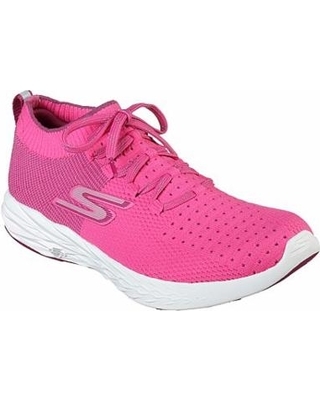 I have many Skechers sneakers to cross train and walk, but none for running. I have always bought my exact size for sport shoes (24cm insole for a 23,5cm foot lenght) and it's perfect. I don't know if it would be OK for running. I will start running from scratch, I've never done it before. I plan to to buy the exact shoes you are reviewing. 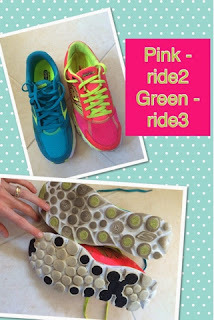 I first thought of buying the Go Run 3 (not the "ride" model), but I think that maybe it's too minimal for a beginner. I will run mainly on pavement (I live in the city and not a chance of trail running nearby). Anyway, I plan on wearing these also at the gym and for walking, in case this whole running thing doesn't turn out the way I intended. What do you think about all these things? and what do you recommend regarding size? Thanks so much for your time!!! I'm writing from Chile. Great review Helen. I have shied away from these because of the aforementioned narrow toe box but may have to give it a try.